This beautiful mixed-metal necklace features three hand hammered, domed discs. It includes your choice of a sterling silver charm and is finished with a beautiful sterling silver chain. Please see below for the measurements of each disc. 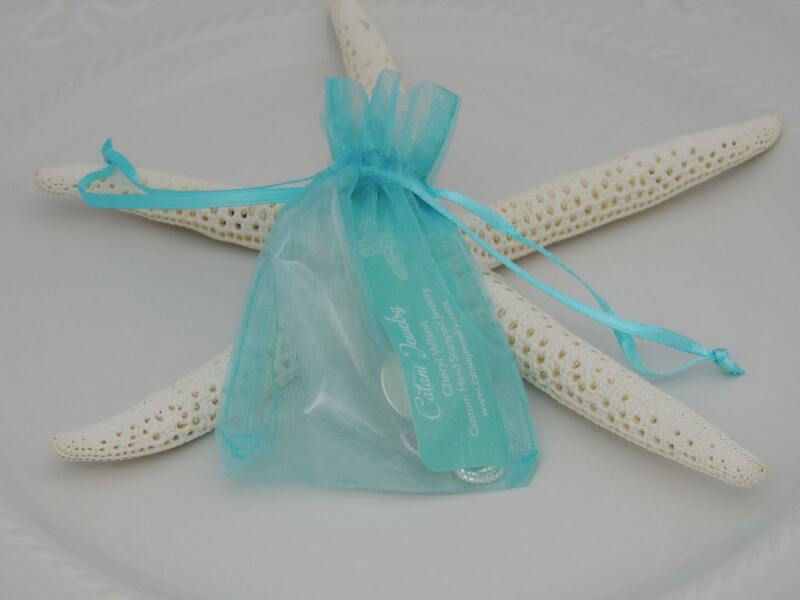 Sterling Silver Disc - Measures 1" in diameter. 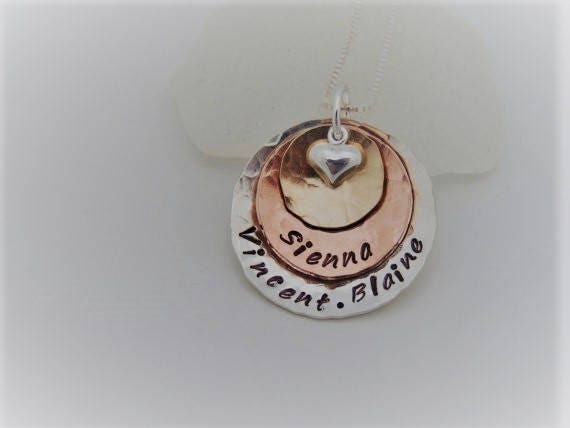 Can be hand stamped with up to 16 characters. Copper Disc - Measures 3/4" in diameter. 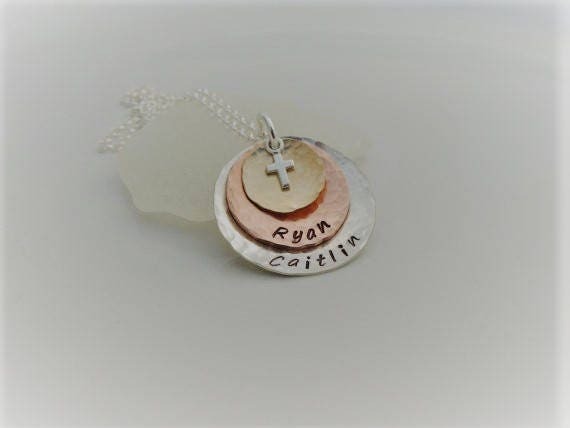 Can be hand stamped with up to 12 characters. Gold Filled Disc - Measures 1/2" in diameter. 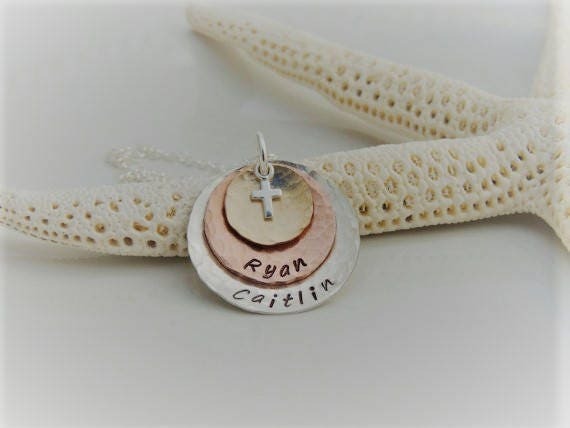 Can be hand stamped with up to 6 characters. 1. 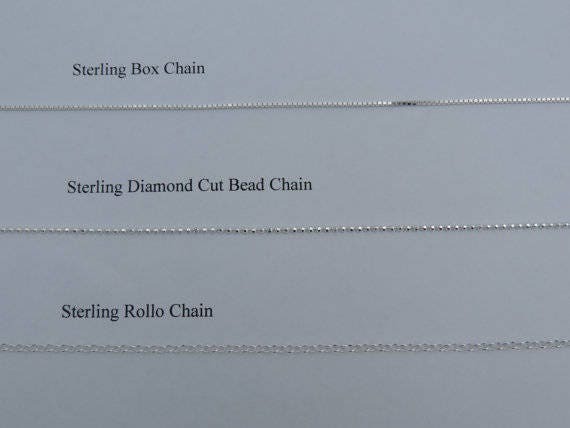 Please choose your chain style and length from the 1st drop down menu. 2. Please choose your charm from the second drop down menu. 3. Please leave me a comment in the "notes to seller" box at checkout with the name or names you would like hand stamped on each disc. Thank you.